Posted in Marketing and Small Business. 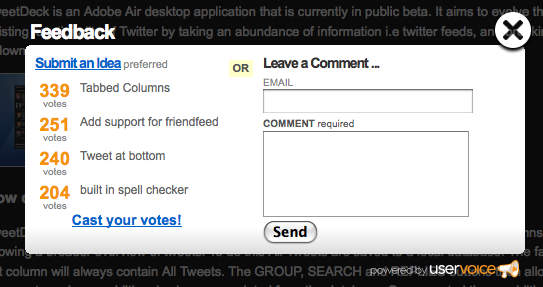 Check out this feedback form from the TweetDeck website. It’s a modal pop-up box with a form and instant feature request form (using UserVoice). How easy is it for your customers to give you feedback?